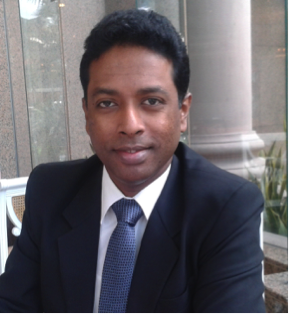 S. Suresh Kumar is a trained and certified Risk Management professional in the area of Supply Chain Management and Brand Protection. He attained his Bachelors Degree in Law from the University of Wolverhampton (UK). He then went on to be trained and certified as an auditor and practitioner in the specialized area of Risk Management under the auspices of United States of America Customs and Border Protection(CTPAT Standards); and; Transported Asset Protection Association (TAPA Standards), Asia. He is also a Human Resources Development Trainer certified by the Human Resources Ministry. Due to his passion for training and knowledge sharing, he is also currently a Lecturer for Asia e University, lecturing both undergraduate and post graduate students on Risk Management module. > New Site set up and critical infrastructure planning for the Flextronics Penang Mechanical fab. > Plant wide Access Control System & Digital Patrolling System. > Security and Safety Enhancement Project for Chip Card Business at Wuxi, China. • Supply Chain Security Practices & Risk Management Methodology recognized, absorbed and gazetted by Royal Malaysian Customs as guidelines for Customs Golden Client application.